1978’s Grease represented the last gasp of the Hollywood musical, but what a gasp it offered! At least at the box office, Grease kicked some serious tail. 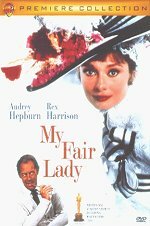 The movie earned $181 million in 1978, a figure that earns it the spot as the highest-grossing musical of all-time. 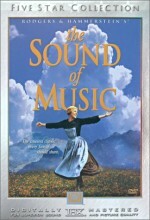 Of course, if we adjust the figures for inflation, 1965’s The Sound of Music easily grabs the top position for the genre, and 1964’s Mary Poppins also beats it. But Grease remains number one based on actual figures, and anyway, it’s still the biggest hit musical that doesn’t star Julie Andrews! For an 11-year-old in 1978, Grease really was the word. My friends and I simply adored the flick, and I think I saw it something like six or seven times over the period of a few months. Longtime readers may know of my aversion to musicals and wonder how this could be, but I simply had very different tastes back then. I liked then-modern pop/rock, but my formative experience occurred when I developed a huge interest in the Beatles in 1979. Not coincidentally, my enjoyment of showtunes quickly dissipated. Heck, I once thought that Grease’s “Greased Lightning” totally rocked - what was wrong with me? Of course, it wasn’t just me, as all of the kids worshiped Grease. In retrospect, I can’t quite figure out why we went so nuts about it. I still love some movies that I adored in that era; flicks like Jaws, Star Wars, and Close Encounters of the Third Kind remain among my favorites. However, Grease doesn’t merit attention among that crowd. Set in the early rock era of the Fifties, Grease primarily focuses on Danny Zuko (John Travolta) and Sandy Olsen (Olivia Newton-John), a pair of summer lovers. Once the academic term starts, the high school kids (ha! Newton-John was almost 30 at the time) assume they’ll never see each other again, but it so happens that new student Sandy arrives at Danny’s native Rydell High. After a period in which we get to know the whole crew - which includes Danny’s T-Birds gang and the girls’ Pink Ladies - the two encounter each other. Unfortunately, Danny tries to act cool in front of his buddies, which cheeses off Sandy. While it covers the course of the school year, Grease concentrates on the on-again, off-again relationship between Danny and Sandy. When she starts to date a jock named Tom (Lorenzo Lamas), he goes out for sports. The pair dance together at a big competition, but a bimbo named Cha-cha (Annette Charles) ruins the night. Essentially, the story consists of a slew of different contrivances created solely to keep Danny and Sandy apart until the finale. Of course, it tosses in some subplots as well. We see the rivalry between the T-Birds and the Scorpions, a gang led by scungy Leo (Dennis C. Stewart, the greasiest greaser in Grease). We also watch the romantic connection between T-Bird Kenickie (Jeff Conaway) and head Lady Rizzo (Stockard Channing); like Danny and Sandy, they go through their own fluctuations before they decide what to do with each other. Mixed in with these light plot points, we get scads of songs. One complaint I often level at musicals stems from the amount of time the production numbers fill. For flicks like Oliver! 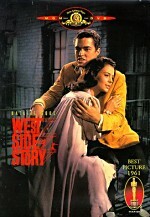 or West Side Story, many of the songs last forever. No wonder many movie musicals fill two and a half to three hours of screen time; the production numbers go on interminably. One positive in Grease’s corner comes from the fact that this doesn’t happen here. The film uses a pop/rock score, and those tunes generally don’t last more than two or three minutes. Heck, during the era in question, pop tunes rarely were more than a couple of minutes long; it wasn’t until the Sixties that songs started to stretch those boundaries more fully. Grease doesn’t totally stick to the two-minutes-and-out tradition of the Fifties, but it comes surprisingly close. Even the longest tune - “Hand Jive” - barely breaks the five-minute mark, and the vast majority go between two and four minutes. Director Randal Kleiser keeps the action light and peppy enough to avoid the usual pitfalls. Even Singin’ in the Rain - my favorite musical - sags at times, notably during the ponderous 13-minute “Broadway Melody” sequence. Grease skips any of those huge segments and tends to move through the tracks pretty quickly, all of which helps make the project tighter and more efficient. As a rock fan, I don’t consider the music of Grease to merit consideration within that genre. Grease features light, nostalgic pop that lacks the bite necessary to qualify as real rock; it shows too much of a Broadway influence to actually feel like rock. Still, lots of the songs seem quite catchy and memorable. Some appear excessively kitschy - even at age 11, I never could stand the campy “Beauty School Dropout” - but tracks like “Summer Nights” and “You’re the One That I Want” sport a nice pop sheen that allows them to work. Kleiser uses fairly standard musical staging for the numbers, but he manages to integrate them into the story pretty well. Unlike some numbers in other films, the tunes virtually always further the plot. “Summer Loving” acts both as exposition and as character development, since it communicates what happened with Danny and Sandy and also offers clues as to the personalities of the pair and their friends. Grease also succeeds due to its generally solid cast. Newton-John doesn’t seem like much of an actress, but she brings the necessary warmth and likeability to Sandy. Plus, she’s the only good singer in the bunch, which helps. Travolta barely carries a tune, but his personality makes his turn as Danny a good one. He offers a funny lunkheaded charm that endears him to the audience even when he acts like a jerk. When you watch Grease, you get an idea why Travolta briefly was one of the world’s biggest movie stars. As for the supporting players, all seem competent, but only Channing stands out from the crowd. Apparently the oldest of the group - at 34, she played a character roughly half her actual age! - Channing appears absolutely unconvincing as a high school student, but she brings so much pep and funny cynicism to Rizzo that you totally understand why they cast her anyway. Channing provides a lively and engaging performance that probably remains Grease’s best work. All this and personal cult fave Eddie Deezen too! On the negative side, Grease seems awfully campy, and it rarely comes across as something genuinely inspired. It lacks the authentic feel of a period piece like American Graffiti and instead substitutes a totally mythical version of the Fifties. Not that any of this matters, for Grease perseveres along with its legions of fans. I can’t call myself one of them, but I did enjoy the movie more than I expected. 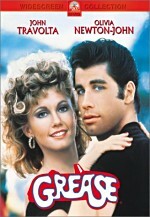 Grease appears in an aspect ratio of approximately 2.35:1 on this single-sided, double-layered DVD; the image has been enhanced for 16X9 televisions. Overall, the picture seemed fairly good, but it displayed a mix of concerns. Sharpness usually looked decent. Many wide shots seemed somewhat soft; for example, “Greased Lightning” came across as fuzzier than I’d like. However, most of the movie came across as fairly crisp and detailed. Jagged edges and moiré effects caused no concerns, but some moderate edge enhancement appeared during the film. Print flaws remained fairly inconsequential, but they cropped up at times. I noticed some light grain and also saw occasional examples of specks, grit, and spots. The animated opening showed the highest level of defects, but most of the image appeared reasonably clean. Colors usually seemed pretty solid. Skin tones occasionally came across as somewhat pink, and the tones sometimes appeared moderately flat and runny. Nonetheless, most of the movie showed acceptable hues, and the colors became quite bright and vivid at times. Black levels consistently looked deep and rich, and shadow detail also was clear and appropriately rendered. Nighttime shots like those during and after the pep rally appeared quite clean and neat. Ultimately, the picture of Grease provided something of a mixed bag. Segments like the entire dance competition looked pretty solid, but parts such as “Greased Lightning” seemed pretty problematic. Frankly, such a prominent film deserved better, but the image still seemed acceptable for a movie of this vintage. The Dolby Digital 5.1 soundtrack of Grease also presented a varied affair. Except for the music, the soundfield remained fairly focused on the center channel. Usually the track offered little more than general ambience on the sides, though it also included a little directional dialogue. The surrounds also lacked much information, as they mostly provided vague reinforcement of the forward audio. A few scenes came to life well, such as during the pep rally. The stereo presentation of the songs showed nice separation and delineation and offered the best aspects of the mix. The opening to the “Teen Angel” sequence also added nice use of the rear speakers, and the entire “Hand Jive” segment spread the music vividly to the surrounds. The car race bit at the end even tossed in some split-surround material. However, those examples popped up pretty infrequently. Audio quality varied. Speech suffered the most, as the lines showed a mix of concerns. While dialogue always remained easily intelligible, speech seemed consistently flat and also became rather edgy at times. The movie also featured a lot of pretty awkward dubbing. Effects came across as fairly accurate and well defined. They could sound a little thin, but they usually displayed good clarity and depth. Music seemed somewhat erratic. The songs seemed fairly clean and bright, but they lacked much punch. The tunes presented okay bass response, but they could have seemed stronger in that regard, and the music sounded somewhat thudding and bland. The songs appeared acceptably concise, but they failed to deliver much oomph. The track suffered from some background noise and a little hum at times, and I noticed a surprising amount of hiss. Again, when I compared the audio of Grease against other flicks from the era, it seemed a little above average, but considering the prominence of the film, I found the erratic soundtrack to provide a disappointment. Get ready for another disappointment when we examine the supplements found on Grease. Given the popularity of the flick, one might expect a long list of extras, but we don’t get them. Instead, we simply find the movie’s theatrical trailer - presented non-anamorphic 1.85:1 with monaural sound - and The Grease Yearbook, a collection of interviews ported over from the film’s 1998 20th anniversary laserdisc. This 16-minute and 48-second program features then-recent comments from director Randal Kleiser, producer Allan Carr, and actors John Travolta, Olivia Newton-John, Stockard Channing, Jeff Conaway, and Didi Conn. The interviews include English subtitles. The program also tosses in shots from the movie and some behind the scenes photos and footage as well. The participants discuss the casting of the film, some of the specific production numbers, and many general thoughts about the shoot. This means we hear a lot about what a great experience it was, but we also learn some nice facts about the movie, such as the problems Newton-John had with her final costume. Overall, the “Yearbook” offers a glossy and superficial but entertaining look at the film. Finally, within the DVD’s case we discover the Grease Songbook. This 16-page booklet includes some photos as well as lyrics to 10 of the movie’s tunes. It’s not a great extra, but since I don’t think a single prior Paramount DVD featured a booklet, at least it’s a step in the right direction. Almost a quarter of a century after the movie first dazzled me, Grease doesn’t rock my world anymore, but it remains a fairly entertaining little piece of work. Parts of it fall flat, but enough of it seems satisfying to make it a fun program. The DVD provides fairly decent but erratic picture and sound with a surprisingly small roster of extras. While I think this DVD gives us the best home video presentation of Grease to date, it nonetheless stands as a disappointment. Fans will still be happy to have it, but such a prominent and popular movie deserved better treatment across the board.